Commercial kitchens, whether they are in restaurants, schools or large gathering places, are required to install grease traps on outgoing drain pipes. This prevents large amounts of fat, oil and grease from getting into the municipal wastewater lines. Why is that important? Deposits of cold oil or grease can really do a number on pipes, which leads to expensive repairs and inconvenient downtime. Taking proper care of a grease trap is no one’s favorite chore. But you have to clean them out periodically to prevent water backups and bad smells. Here are some preventive measures you can take to keep your trap flowing smoothly, and we’ll help you determine if it’s time to call in the pros. When you or your employees are quickly running dishes through your big commercial dishwasher, it can be easy to underestimate the amount of grease that’s being generated. Here are some tips for keeping fat and oils out of the drain pipes in the first place. Scrape all the dishes into the trash, getting off as much grease or fat as you can. Don’t use your sinks as garbage cans. Hot water may get oil off plates, but that’s not the ideal method for large amounts of grease. Liquid or powder additives allow you to directly apply the bacteria to the trap, where they digest the fat, oil and grease and create water and carbon dioxide in the process. You can choose a slowly dissolving bacteria block as well, which dangles in the pipes and is submerged in the trap. These last about a month before needing replacement. For really large kitchens or those that generate a lot of grease, you can install an injection pump that automatically squirts bacteria into the trap at set intervals. Even using these tips, you will likely need to have the trap professionally pumped out on a periodic basis. Many municipalities require a monthly cleanout, but technically, when the fraction of grease is at or above 25 percent of the trap’s volume, it needs to be cleaned. When you hire Simpson Plumbing, you’re getting a commercial plumbing specialist. 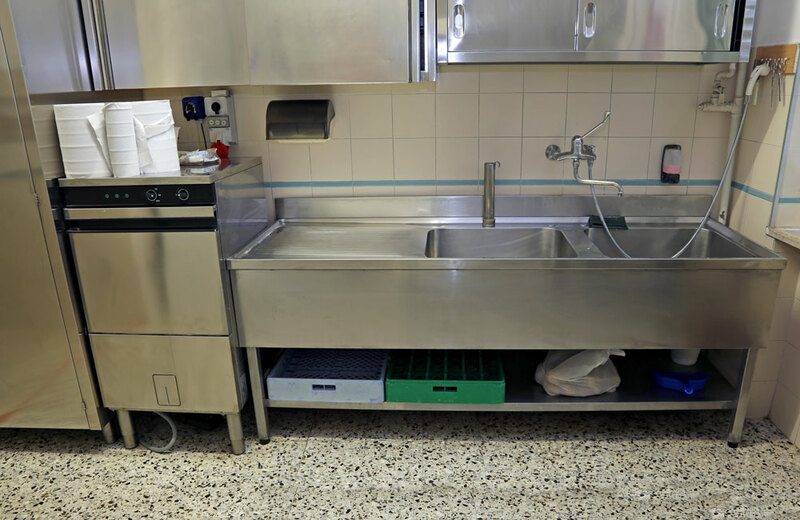 You can be sure the water will flow smoothly in your facility, and you won’t be suffering through the unpleasant odors that untreated grease traps can generate.